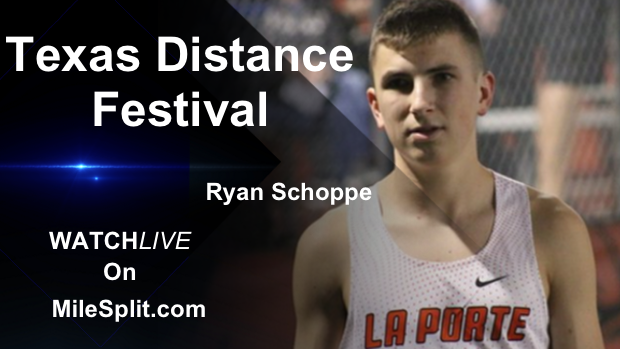 La Porte junior Ryan Schoppe will compete in this weekend's Texas Distance Festival. This will be his opportunity to show the country who he is and what he can actually do. Schoppe has been on the cusp of greatness since his freshman year. 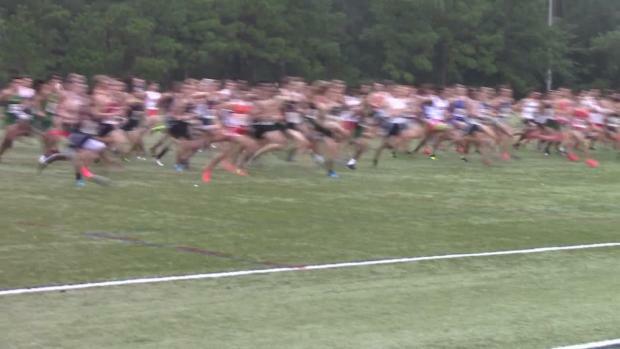 He ran fast times for a freshman since his fist high school cross country meet. From there, he went on to qualify for state both in cross country and in track and field. However, he has just been a name amongst some of the best in the state. Schoppe has sporadically battled untimely sicknesses and injuries. Although he qualified for state meet, he got sick towards the end of his sophomore cross country season, which impaired his performance. Schoppe's fortitude has never wavered. His psyche and determination have stayed on par with achieving the elite and national status he desires to reach. At the UIL 6A state track meet, he took a step towards that desired elite status as he won the 3200m state championship in 9:09.26. "I'm really looking forward to it, getting to race people from all over the country, the great competition and all. I'm ready for a good race next week and ready for a lot of sub 15 5Ks." During the 2018 cross country season, Schoppe returned and started the season with good health and that led to him producing results that ranked him amongst some of the fastest 5K guys state wide and nationally as he only ran one race over 15:15 all season long. 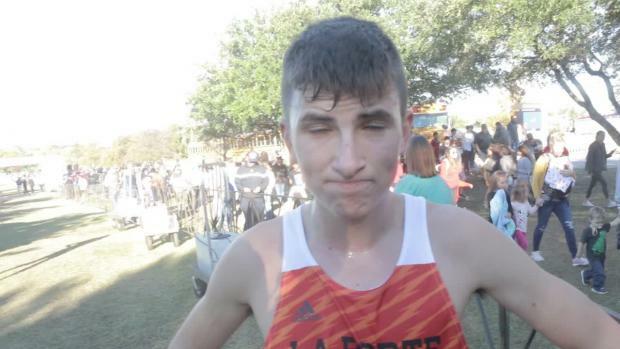 At the UIL 6A cross country state meet, he would run 14:43.88 to finish 2nd place overall. That is when the bad luck and bad timing for Schoppe hit again. 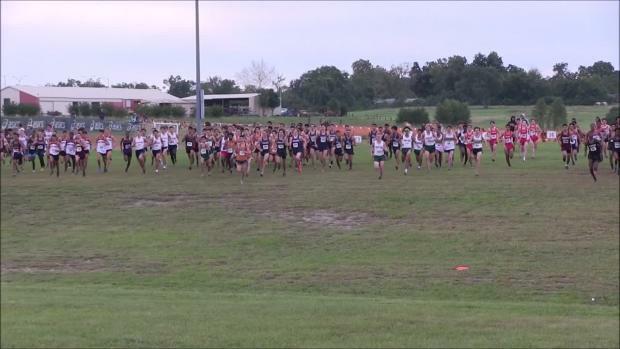 When training for the Nike Cross South Regionals and Foot Locker South Regionals, he began to feel some pain in his knee. Schoppe had developed what was diagnosed as Plica Syndrome. Plica Syndrome is when the knee becomes irritated, enlarged, or inflamed due to over use. Schoppe chose to shut the cross country season down and elected to rest and recover. Although, he was playing it cautious for the long term, it meant he would have to forgo his chances at qualifying for a national meet. "They said I need the rest, if I ran through it, it was probably going to get worse. It was toward the end of the season, I had already had a pretty good season anyway. We just decided to call it and get ready for track and my senior season," Schoppe said. 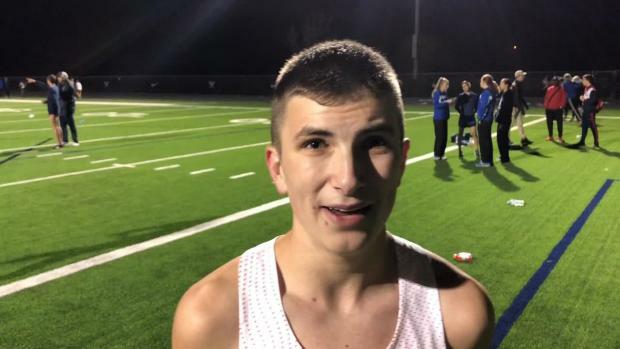 This weekend, the Texas Distance Festival (TDF) will be his national meet. The TDF not only attracts the top DFW and Texas distance runners, but it also brings in some of the top runners in the country. Onec again, Schoppe is ready for his shot, "My confidence is up from the cross country season, even though it didn't end the way I wanted it to," he said. Schoppe is in pretty good shape right now and he is looking to use the TDF as a chance to run fast and put his name at the top of the national level. In the last two years alone, the top 15 5K times at the TDF are all under 14:55, and Schoppe is ready! "I'm really looking forward to it, getting to race people from all over the country, the great competition and all. I'm ready for a good race next week and ready for a lot of sub 15 5Ks." The top Texas distance runners will race in the 800m distance on up to the 5K and will take on some of the best in the nation. 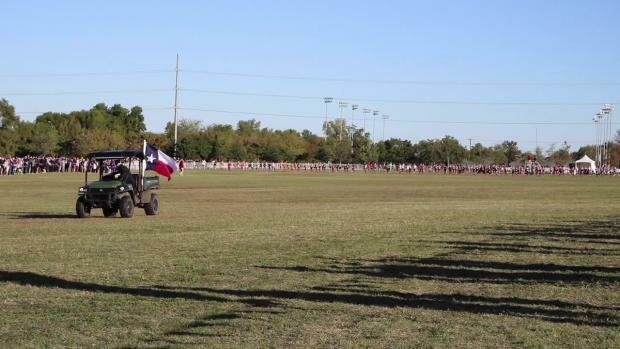 You can watch the Texas Distance Festival LIVE at 2:15 p.m. on MileSplit.com.